Old Fashioned Sugar Cake as developed by the website chocolatechocolateandmore.com. Fantastic! This simple and delicious dessert was made for Father’s Day, and is the third of my dessert recipes to feature butterscotch extract. (Oatmeal and Chocolate Chip cookies being the first and second). I’m not sure how I found this recipe (think it was through some kind of Pinterest investigation) but I am glad I did. It was from a site called chocolatechocolateandmore.com, so you know it’s good! Warning: it contains no chocolate. The recipe was near-perfect, but as always, I had to go and mess with it. A couple of tweaks were necessary, not least of all was the elimination of the cast-iron pan, as mine recently broke (snapped, really). Of course, increasing the vanilla and salt levels (this worried me at the batter stage, but paid off at the cake stage). Lastly, I added 1/8 tsp of butterscotch extract (Frontier brand), which is a bit of guilding the lily—you can leave it out and it makes for a great, simple dessert. But I thought it needed just a tiny little bit more personality. Also, I found myself wondering what it would be like if I beat the egg whites (to stiff foamy peaks) with the sugar separately and then folded them into the rest of the recipe. I didn’t try it, but that is how egg whites are frequently used in baking this type of light dessert. My one big deviation from the recipe as written was to add a cup of sugar to the shortening, milk and vanilla combo, rather than add it all to the wet ingredients with the dry. I felt it was necessary. Did it make a difference? I think when you can cream or semi-cream your sugar, you eliminate the possibility of that granular mouth feel. Despite my track record of putting great desserts on table, my family doubted this would be a dessert they would like. After all, it’s not chocolate, and what is it, really? Plain cake? But no, as its original author contends– it’s melt in your mouth delicious. Might I need to add a streusel layer (one of my other obsessions)? Most likely. This is also a great cake as a base– for covering with strawberries, or strawberry filling (like that from my version of hand pies) or some other kind of sweet confection. If you have a good maple syrup, you might substitute for that for the butterscotch. As for whether this is better in the morning, it will be hard to tell, since my family of four almost completely cookie-monstered the cake last night, which rarely happens. So if you have a Father (or Father substitute) that you want to make happy, this a great recipe: simple and quick. Add in 1 cup of a sugar and the vanilla. Continue to mix. Add in egg whites, beating just until all combined. Pour batter into a greased and floured (not sprayed) 9 inch round cake pan. Bake in a preheated 350 degree oven for approximately 40-45 minutes (mine was ready at 43) or test for doneness. Let cool on wire rack for at least 45 minutes before serving, cover top with powdered sugar. After cooling, I ‘heavily dusted’ the top with powder sugar, covering the top like a ski-chalet after a heavy Vermont snow. The original recipe called for a dusting, but I thought it needed more. Some in my house suggested it needed frosting, but I am not among those who agree. However, you can check out this simple vanilla cream frosting recipe (at the bottom of this chocolate cake recipe) if you like. Otherwise, Happy Father’s Day! 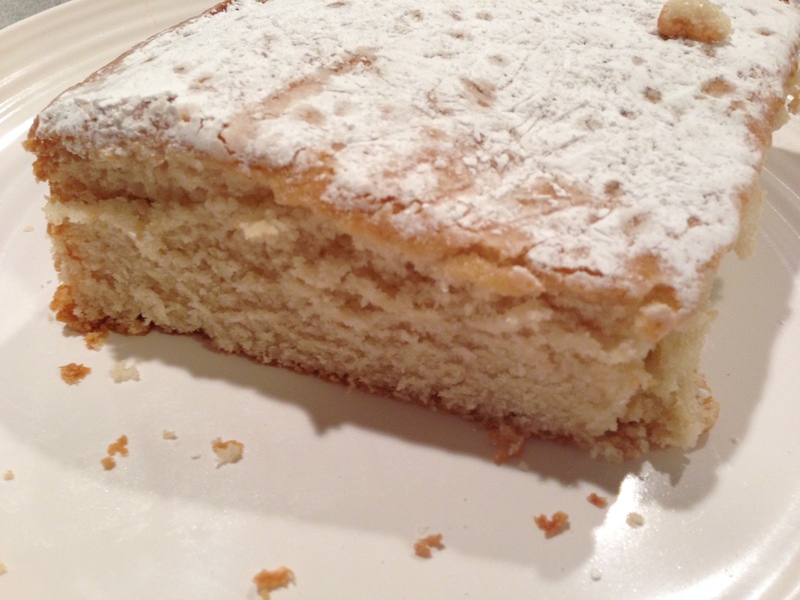 Posted in Desserts and tagged easy dessert, egg white cake, Father's Day, Robert deutsch, shortening dessert, simple dessert, sugar cake on June 21, 2015 by Robert Deutsch. Oatmeal cookies need butterscotch. Who knew? Before we start, let me tell me you I know about the recipe under the Quaker oats cap. I’ve made it. It’s good. It makes great cookies and you’re looking for super simple, go ahead and make that one. And I was fine with that cookie until I had a life changing event: eating an oatmeal cranberry cookie from Petsi Pies in Cambridge, MA. So head-exploding was the sensation of this cookie that I was driven to the Interwebz to find a recipe that would create a cookie just like it. Of course, the problem with trying to create a copycat recipe is knowing, at a basic level, what goes into it. So I set out to find out if anyone had already tried to do it, or do something close. Sadly, I came up empty but you have to start somewhere. After several batches, I found a good starting place at Frances & Ian. Their recipe was very good, so naturally I started changing it immediately. 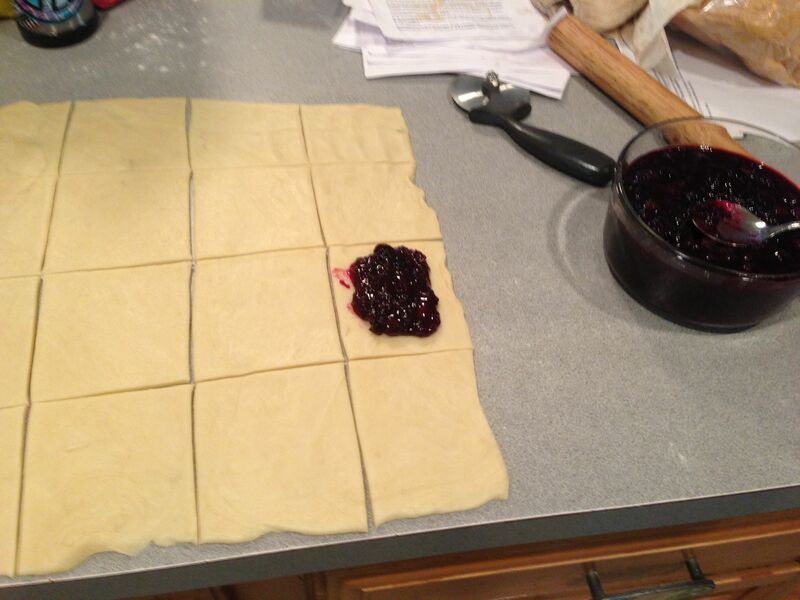 For starters, I was going to have cranberries instead of raisins. But after eating Petsi cookies, I realized these were no ordinary Ocean Spray bag o’cranberries. I experimented with soaking them in vanilla for 30 minutes but no, that wasn’t it. I tried unsweetened and non-sulfated cranberries. Still no. Then, I found apple-juice infused cranberries from Whole Foods and those seemed to be good enough– juicy, sweet, but not of sugar. I needed nuts. 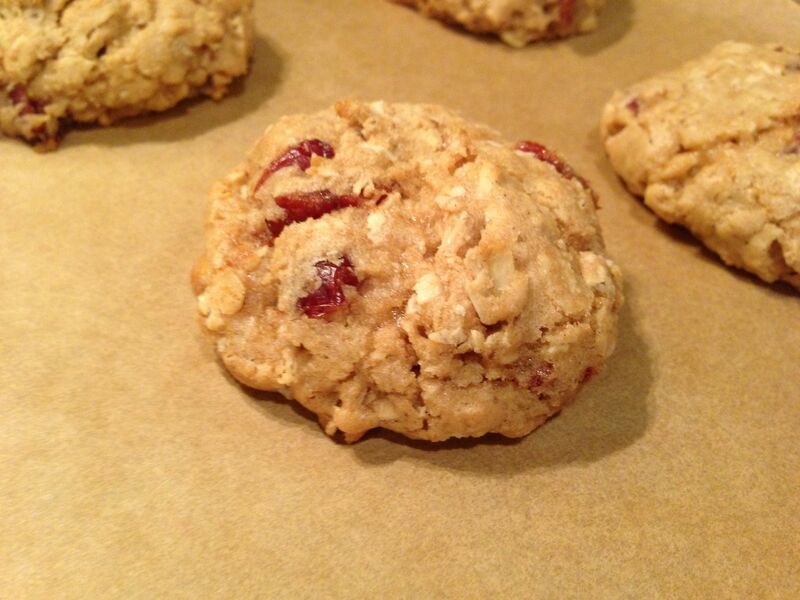 Frances & Ian didn’t have nuts, and walnuts are usually the go-to nut for oatmeal cookies. 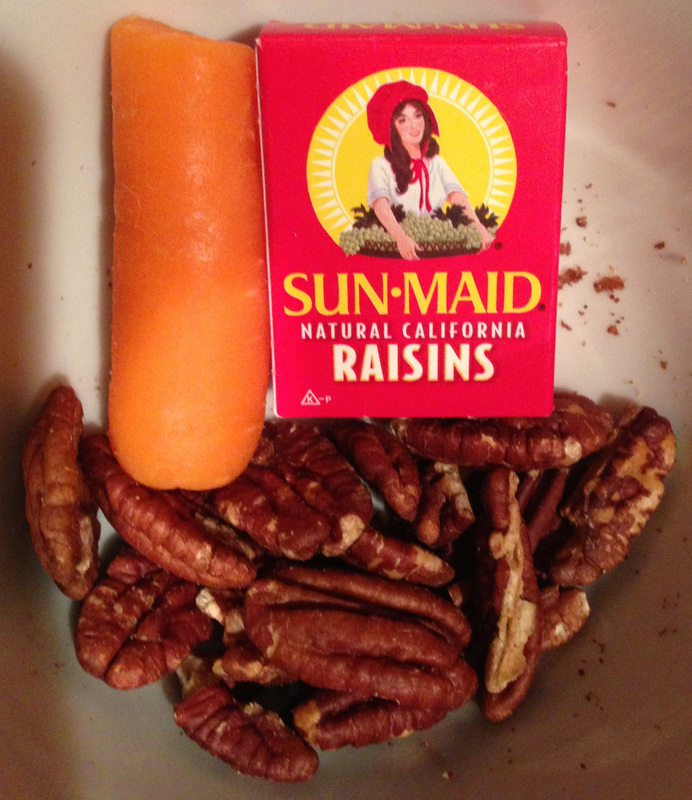 I prefer pecans, but I was trying to create a copycat, so walnuts it was. Cinnamon- the recipe originally called for 2 teaspoons but that seemed like too much, so I cut it in half. If you know me, then you know of course I increased the vanilla and salt. That elusive ingredient. After months of trying to figure out what’s in these incredible cookies I had a revelation: butterscotch. But in what form? Extra brown sugar and butter? Chips? I tried it both ways. First, I melted and 1/8 of a cup of butterscotch chips in a tablespoon of butter and added it to the creamed butter and sugar, and that’s what the picture is of. They were good. But I still wasn’t satisfied. I don’t like the artificial flavored chips—so I found a butterscotch extract from Frontier that was all natural. I added and 1/4 tsp but I think 1/2 tsp is the right amount. You want it enough to be “heard” but not so much that it’s overwhelming the other flavors. Texture. My brother loves crispy cookies but I like them soft and chewy. This is a seemingly impossible-to-placate schism for cookie lovers and bakers all around the world, but it can be solved easily in the way that grill masters satisfy their distinct needs in adult and child audiences. Steak cooked rare comes off first; steak cooked medium stays in longer. That’s one solution, but what I found was that by making the cookies BIGGER, as Petsi does, you can get a crispy outside and a soft inside, which is really the best of both worlds and makes everybody happy. When I make them for myself, I use a 1.5 inch scoop, but when I make them for anyone else, I use a 2 or 2.5 inch scoop. This makes them bigger, and more likely to achieve the crisp and chewy outcome. Make sure you have butter and eggs at room temperature: cold is bad. Mix together dry ingredients flour, corn starch, baking powder, cinnamon and salt. In another bowl, prepare your cranberries, chopped walnuts and oats. Cream sugar and butter, about 3 minutes if you need to time it. Add your egg, and mix. Then add vanilla and butterscotch extracts. Then pour in your flour, baking powder, cornstarch, and cinnamon and mix just until combined. Add the oatmeal, cranberries and walnuts. Mix until just combined. Remove from bowl and place in cellophane wrap for 30 minutes up till overnight. After chilling, take out and let come to temperature– this will help scoops melt into a more familiar cookie shape. If you like mound-shaped cookies, then you don’t have to wait. Scoop cookies onto parchment paper or silicon mat and bake for about 12 minutes at 350. Depending on how crispy you like them (and how old your oven is) you might want to turn them around and give them another 3-5 minutes. Important: these cookies need to “set up,” meaning that if you try to remove them from the tray before they’ve cooled you’ll have a crumbling hot mess on your hands, and likely everywhere. Let them cool on the tray for at least five minutes and then transfer them to a cooling rack for about five minutes. Then, experience oatmeal cookie perfection. Posted in Desserts and tagged best oatmeal cranberry cookie, butterscotch, cookie perfection, cranberries, Oatmeal cookie, Oatmeal cookies, perfect oatmeal cookies, pets pie oatmeal cranberry walnut cookies, quaker oatmeal cookie recipe, Robert deutsch on January 25, 2015 by Robert Deutsch. As an adult and a parent navigating through this complicated world, I am always very appreciative when something gets a little easier. 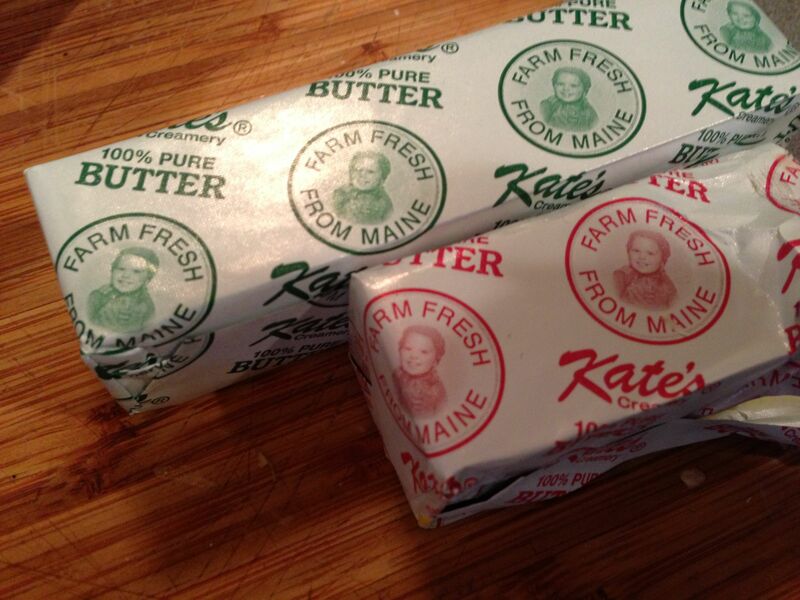 The nice people at Kate’s Butter of Maine have now started to wrap their salted butter and unsalted butters in different color wrappers, thereby making it much easier to distinguish which one is for use on bread and string beans (salted) and which one in baking (unsalted). The salted is in a wrapper with red letters. Seems like a little thing but it is so helpful when you’re pivoting between things (especially upcoming holidays like Thanksgiving and Christmas, et al) and you don’t really want to keep the sticks in the box (which I had to do). So thanks Kate’s! You do make the best butter on the market today! Posted in Food Writing & Other Stuff and tagged 100% Farm Fresh Butter, Kate's Creamery, Maine Butter, Robert deutsch, Unsalted Butter vs. Salted Butter on November 11, 2014 by Robert Deutsch. November is to apples what black is to bananas, i.e. nature’s alarm clock telling you it’s time to use ’em or toss ’em. As that siren grew louder, I spied my pile of ever-softening honey crisp apples with despair. Decisive action was necessary. 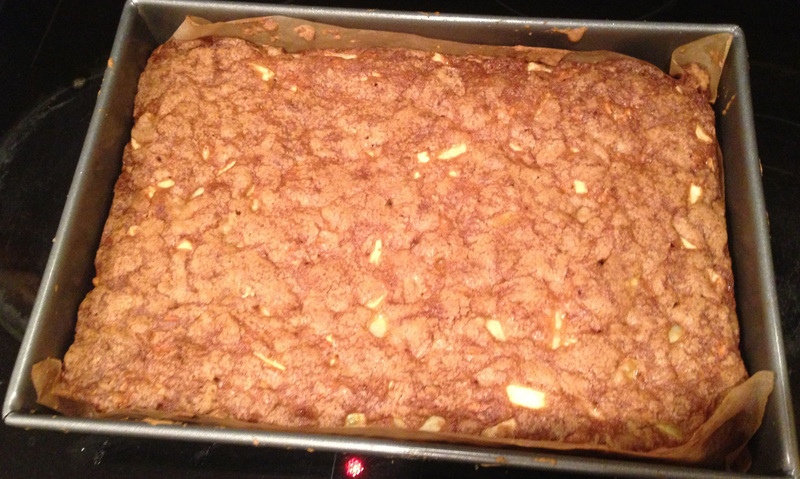 Taking to my trusty recipe network, I found Old Fashioned Apple Cake on King Arthur and got to work. Unlike my signature “Best Apple Cake in the World” which takes lots of time, prep and requires three major kitchen appliances to complete, this was going to be a walk in the park. Aside from the ingredients already in my pantry (Apples, Flour, 9 x 13 pan), I noted in the comments section of the recipe where people had successfully added carrots and raisins to the cake and cream cheese and boiled cider to the icing. (Boiled cider is on my list of ingredients that I pine for and will likely never have, because I never successfully get to the check out at King Arthur). 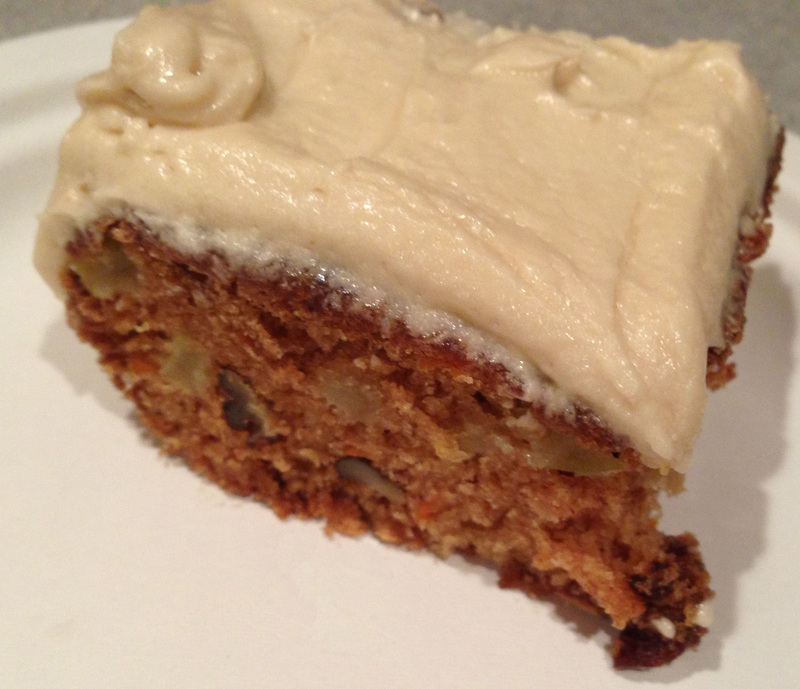 Raid the pantry recipe: raisins, pecans and baby carrots make this apple cake delicious. My inventory check revealed I had all those things, and I knew I needed to use them. Shockingly,the one thing I was missing was regular orange carrots. I had only baby carrots and a collection of strange colored carrots (white, red and dark red) that are fun to use in salads but have a distinctly different taste, and ergo not right for this project. I usually have a lot of dried fruit on hand, but at the time the only raisins I had were little boxes that I used to throw in my kids’ lunch. (They in turn, were likely hurled at their enemies, but never eaten). I had pecans, which I toasted to a nutty perfection but then did not include BECAUSE I AM NOT GOING TO COOK NUTS TWICE so don’t ask me to do it. They stayed in a bowl and were eaten by passers by who continued to inquire what I was making, and more importantly, when it would be ready. I used roasted, but untoasted pecans in the cake. King Arthur advises you to “frost the cake while the frosting is still warm,” but I regarded that as Voodoo that results in runny frosting and ruined cake, so I opted for the “chill first” method. The comments in the recipe noted that cooling the frosting allows you to get a better handle on how sweet it will taste, and this is true– the first night the frosting tasted only a little sweet—despite being made almost entirely of two kinds of sugar. As the days wore on, the frosting did start to seem like it was too sweet, and perhaps we would have been better glazing the cake instead of a full, pile-on frosting. Frosted or not, this is a nice little cake that thanks to the ginger and nutmeg has a great fall taste profile and is a worthy of use of apples that have been rejected due to softness or lack of crisp appearance. And remember, nature wants you to make cake. Why else would she turn bananas black or the calendar to November? Old Fashioned Apple Cake, just out of the oven. Preheat the oven to 325°F. Prepare a 9″ x 13″ pan. I used parchment paper and PAM. You can grease and flour if you like. 1) Mix the dry ingredients (except the sugar) in one bowl. Mix the sugar, butter and eggs and vanilla (in that order) in a stand mixer until satiny. 2) Add the dry ingredients to the wet ingredients. Just combine (don’t OVERMIX). Then add the apples and carrots. Just combine (don’t OVERMIX!). Chop and add nuts. 3) Spread the batter in the prepared pan. 4) Bake for 45 minutes, or until a toothpick comes out clean. 5) Remove the cake from the oven and cool completely; don’t remove the cake from the pan. 1) Melt the butter in a small pan over medium heat. Stir in the brown sugar and salt and cook, stirring, until the sugar melts. 2) Add the milk, bring to a boil, and pour into a mixing bowl to cool for 10 minutes. 3) After 10 minutes, stir in the cream cheese, confectioners’ sugar and vanilla. Taste and add salt. Beat on high; if the mixture appears liquidy, add more confectioners’ sugar. If too crumbly, you can add more milk or vanilla. Chill frosting in mixing bowl. This will give the frosting a chance to cool as well as the cake. This is good for everyone. 4) Frost the cake. 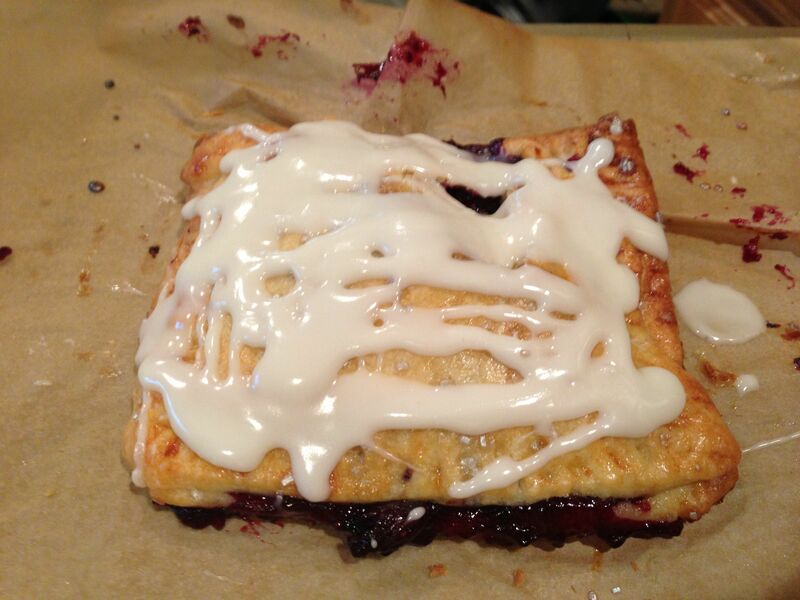 Keep a light touch; the frosting is very sweet. Posted in Desserts and tagged apple cake, apple cake recipe, apple cake with carrots and raisins, apples, brown butter frosting, cream cheese frosting, old fashioned apple cake, Robert deutsch, robertdeutsch, robertdeutsch.net on November 9, 2014 by Robert Deutsch. 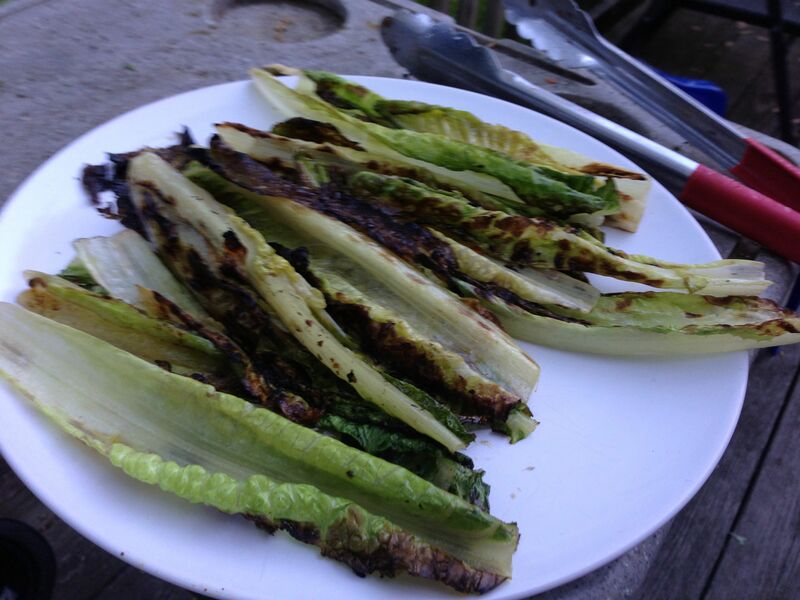 Grilled Lettuce for the 4th— Celebrate America! Totally by accident, I discovered grilling lettuce. I had had grilled romaine in some hifalutin’ restaurants in a treatment of Caesar salad, but it was always something that made you think “why did they grill this lettuce?” One day however, during an obsessive grill-a-thon, I found myself adding olive oil, salt and pepper to some washed romaine heads that had been previously trimmed for salad. Amazingly simple way to add something green to your 4th of July Celebration. 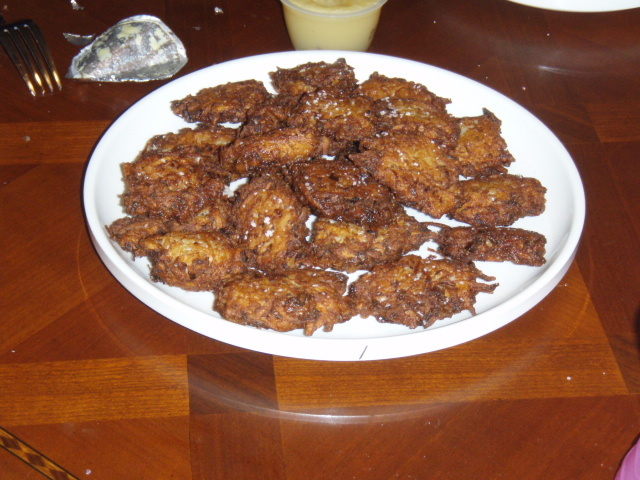 After tossing them, I threw them on the grill, and in about 30 seconds, turned them, and then served them 60 seconds later. To my surprise, the lettuce was the first thing to disappear from the table! The next time I made two heads, and then three until I now have to “stock up” on romaine lettuce when people come over because it is such a popular dish. Besides being easy to prepare and make, it takes almost no time, so it’s easy to make after everything has been taken off the grill (for those of you who have aggressively manage your grill space). It’s also been very, very popular with kids– even those who wouldn’t normally eat salad. I have experimented with adding things before and after the grill– parmesan, lemon, lime, spices, but by far simply olive oil and salt have been the most popular version. Red, White and Blue and GREEN? Add lettuce to your cookout! Trim the bottom and tops of the romaine head, and discard brown or dilapidated outside layers. Wash thoroughly and dry. When dry, place into a big bowl and add about four tablespoons of olive oil (depending on the size of the lettuce and your desire for the texture to be wet or crispy). Mix well and salt. On a hot grill, add all the lettuce in a direction opposite of the grill (naturally) so the smaller leaves don’t fall in. Use tongs to flip, and remove when edges are browned. Add parmesan, lemon or pepper and serve. A lot of the Caesar salads develop the dressing that goes inside a diner-style ketchup container so it can be squeezed out, artistically on the lettuce, with croutons or toasted garlic bread added or as a layer. However you serve it, enjoy it! Some folks in my household have derided romaine lettuce as having little nutritional value, but that’s actually not true! It does pack a significant Vitamin K punch, and is certainly a worthwhile alternative! 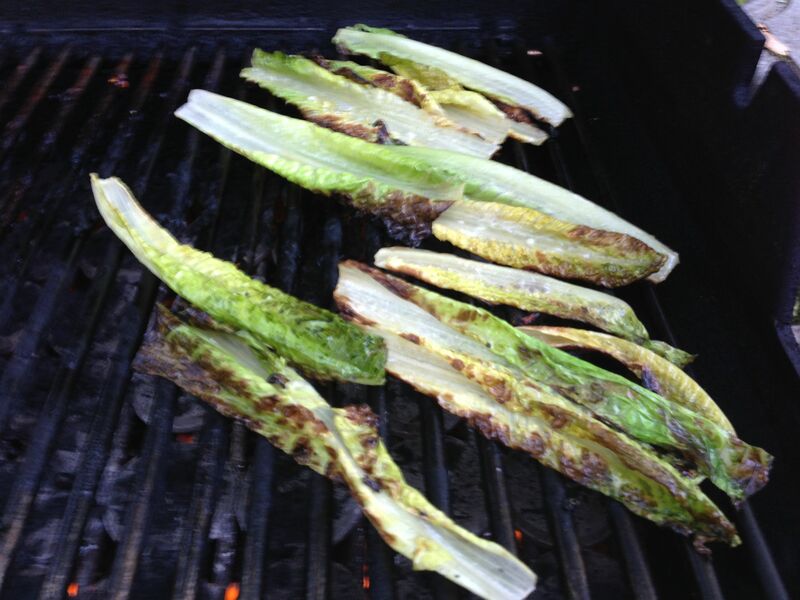 Posted in Sides & Salads and tagged 4th of July grill suggestions, caesar salad, grill ideas, grilled caesar salad, Grilled Lettuce, Robert deutsch, romaine lettuce on July 2, 2014 by Robert Deutsch. Charlie’s in Boston Closing, A Low-Arts Tragedy. The Boston Globe reports that Chef Evan Deluty, who runs Stella in the South End, is “passing papers” on the Charlie’s Sandwich Shoppe this week and plans to re-open the restaurant in 2015. Charlie’s Sandwich Shoppe (love that it used the old time spelling of Shoppe) closed today. I can’t add anything to the story, except that I was a regular there for years. I pretty much ate my way through the breakfast menu, and must admit that it was the place I took anyone to when I was trying to impress them. It was that perfect, divvy, kind-of-hidden, I hope this-is-as-good-as-it-looks-and-smells kind of place. The closing is so sad and it is a great loss for the city, but especially for low-arts fans and students like myself. Because now I am certain that I will never learn how to make their incredible Turkey Hash. Though if you know me, you know I will never stop trying. Check out the full story at WBUR. Photo below from Jesse Costa/WBUR. 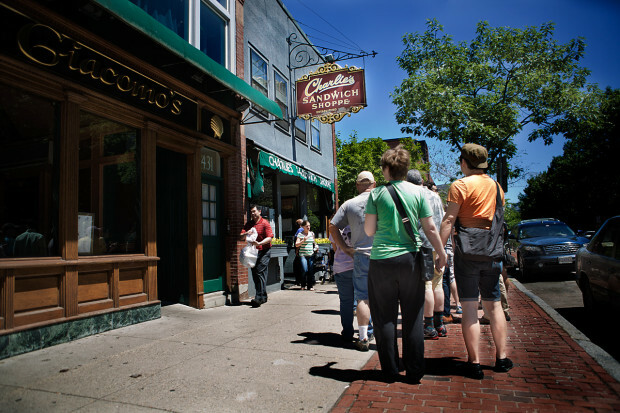 Charlie’s Sandwich Shoppe in the South End, Boston via WBUR. Posted in Food Writing & Other Stuff and tagged Boston landmark, Charlie's Sandwich Shoppe, closing, Robert deutsch on June 28, 2014 by Robert Deutsch. Amazing, nearly healthy snack that kids will fight over. My daughter got an assignment to bring a lunch to a trip to Ye Olde Schoolhouse. One of the conditions of the lunch was that it be carried in authentic containers from the 19th century, like a burlap sack or such. The other more pertinent condition was that all lunches had to be made from foods that were available back then. No juice boxes (which is OK since I never give my kids juice; it is liquid candy), no zip lock bags, no single-serving packs of snacks. Fine, I said. I’m going to bake a loaf of bread for a sandwich, make ginger bread cookies, and add a piece of fruit. But what about the crunch? I felt like I needed to have something to go crunch. Of all the problems of leading a carb-free or low carb life, having crunchy things is at the top of the list. So I thought, “Sweet Potato Chips!” Clearly something they had back in the old days. I read a lot of food sites about the historical eating habits of 19th century Americans and I must tell you that it was all very upsetting. Stuff about mutton heads was enough for me to get back to what I had in my kitchen. I finally found a recipe I liked— at the Minimalist Baker. Really, all the recipes said the same thing, but that was the best version of it that I found. There were a lot of recipes out there that advocated adding paprika, parsley, garlic, etc, but I think the sweet potato oil and salt, when crispy, is so good it doesn’t need anything else. As directed, I sliced the sweet potato as thin as I could, which is not to say papery-thin so it couldn’t be held up as a slice, but more like a thin radish slice (only bigger and a lot more orange). Make sure all slices are covered in oil and salted. Lay on a baking sheet (I used foil) and bake for 2.5 hours at 250 degrees. Let sit for about 30 minutes. The longer it sits after baking the crispier they get. So don’t worry if they’re not all crispy when you take them out of the oven. 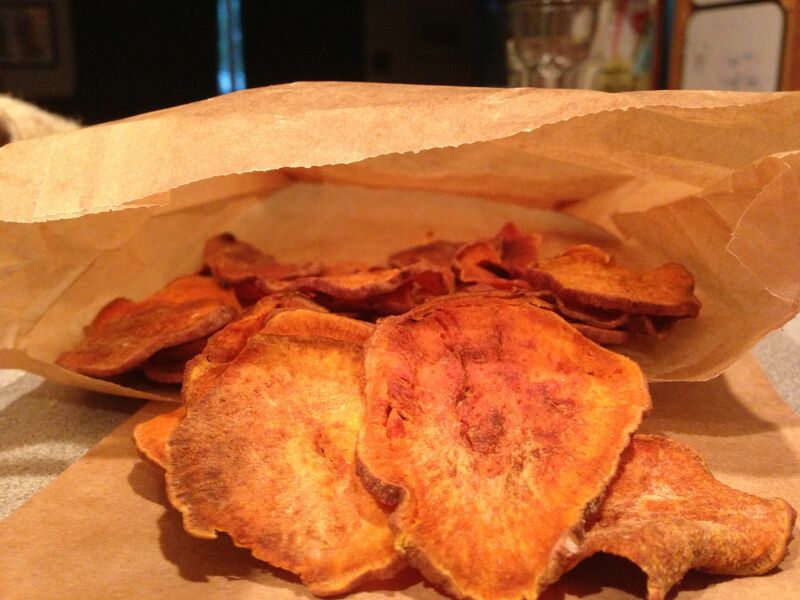 Posted in Sides & Salads and tagged Healthy Chips, Healthy Potato Chips, Potato Chips, Robert deutsch, Sweet Potato, Sweet Potato Chips, Sweet Potato Recipes on June 10, 2014 by Robert Deutsch. Spending money on Cook’s tools and packages of food that make Costco sizes look irresponsible is just one part of it. But of all the things, this item really explains it all. 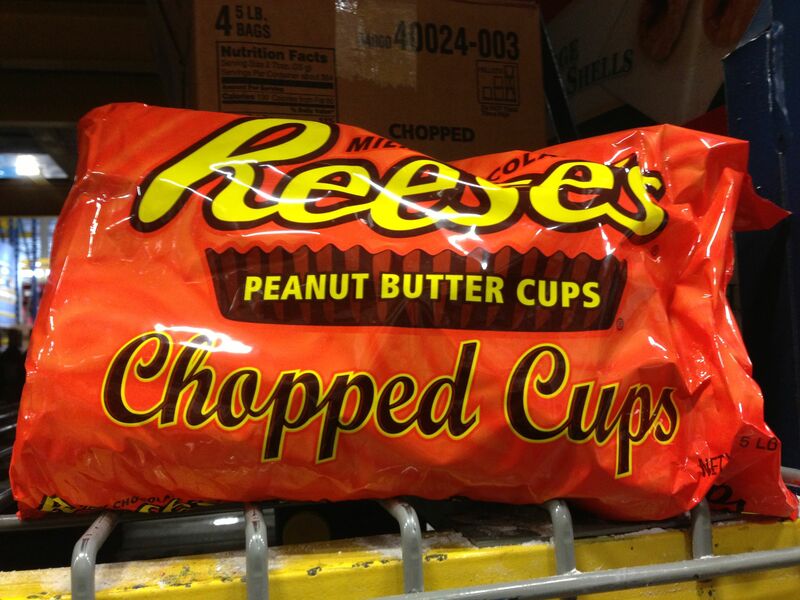 A five pound bag of chopped Reese’s Peanut Butter cups. Something that requires adult supervision. And perhaps an adult to supervise THAT adult. Posted in Food Writing & Other Stuff and tagged Reese's Peanut Butter Cups, Restaurant Supply, Robert deutsch on June 2, 2014 by Robert Deutsch.